The Tomaree Battery on Tomaree Head on the southern peninsula of Port Stephens, NSW near Nelson Bay was built during 1941 as part of the Newcastle Fixed Defences. It may have also been called Fort Tomaree. The guns at Tomaree afforded protection for nearby Port Stephens, a large natural harbour not far from the Newcastle steelworks. 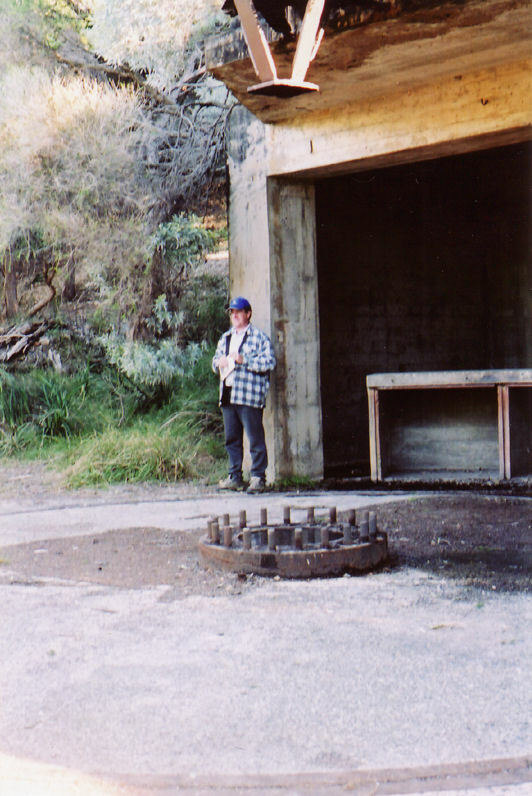 Tomaree Battery was completed by the end of 1942. The large guns at Tomaree Battery were never fired in anger against the enemy. The two "six inch" guns were apparently capable of penetrating 150mm of steel at a distance of 14 kilometres. In addition to these two large coastal guns, there were two other gun emplacements These were known as the 'surf battery', and comprised three pounder guns which were to be used to attack fast moving vessels. There were also anti-aircraft guns, and searchlights in place at Tomaree Battery. RAN Station 307 comprising Naval Recognition Personnel was located at Fort Tomaree. Two fixed torpedo tubes (RAN) were installed as part of RAN 307 on a purpose built jetty on the beach below Tomaree Battery as a last ditch defence against enemy shipping in case they were not destroyed by the large guns of Tomaree Battery. The RAN had a number of seawards defences in the general area including minefield observation systems, anti-torpedo nets, an Indicator Loop System, hydrophones and torpedo tubes. 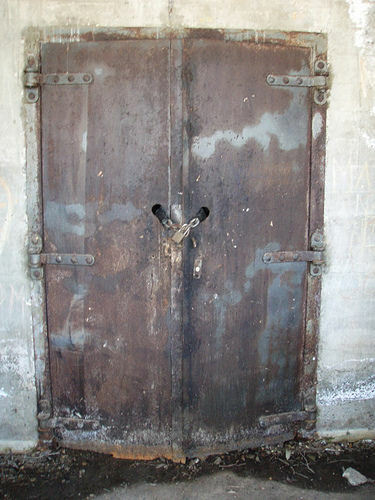 The Port War Signal Station at Nelson Head was mostly in control of these RAN installations. 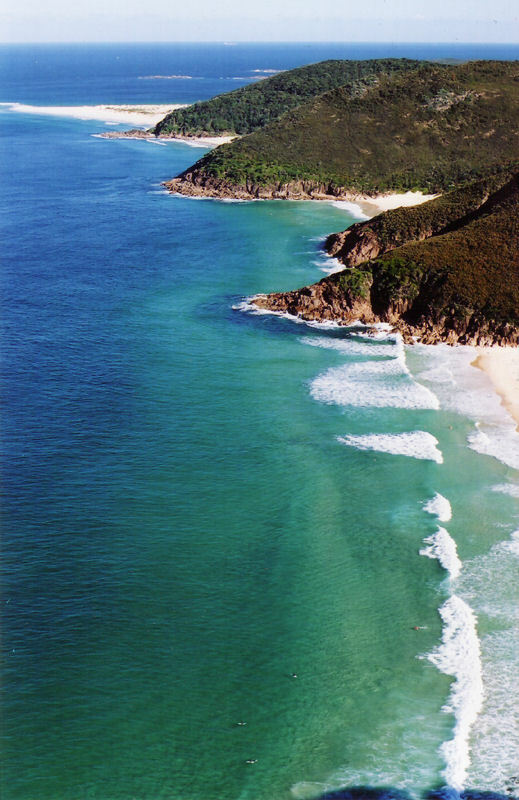 RAN mine and loop control posts were also located at the western end of Shoal Bay Beach and on Nelson Head. 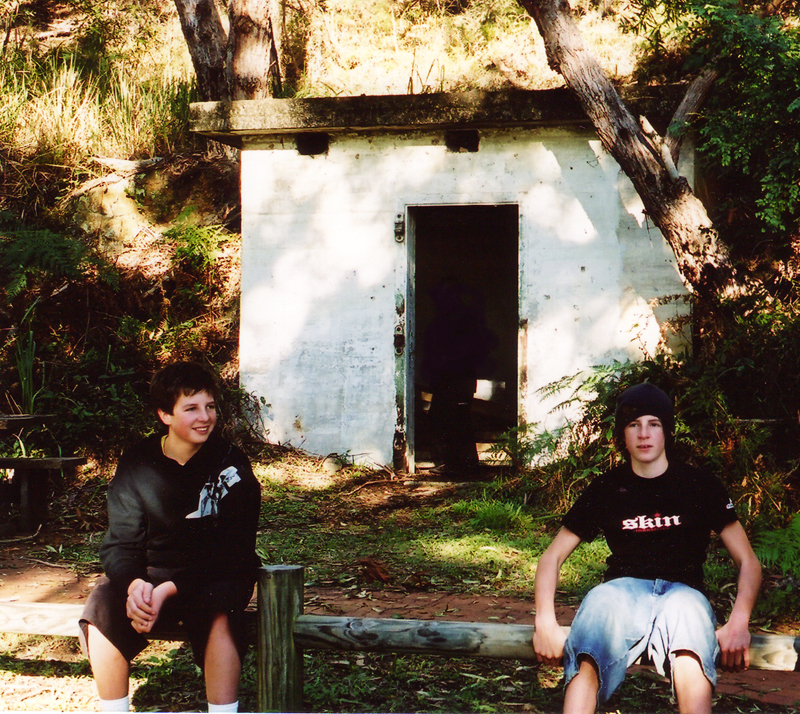 No 20 Radar Station RAAF (early warning radar) was also located at the top of the hill on Tomaree Head. The Radar Site provided electricity to the area (415v 11kw) primarily to power the rotating radar antenna. Power was however also transformed for the use of the military installations in the area. Most of the buildings and all of the guns have since disappeared from Tomaree Battery. Some of the building foundations can apparently still be seen. About the only visible remains of Tomaree Battery today are the large concrete gun emplacements, observation posts and command posts. The Department of Health purchased buildings from Tomaree Battery from the Department of Defence in 1949 for the establishment of Tomaree Lodge on the shores of Shoal Bay, to provide a facility for intellectually disabled people. There is a suggestion that the Tomaree Holiday Lodge was originally built as a US Navy Hospital, which was later passed over to the Australian Army - can anyone confirm this?. Panoramic view from the radar site at Tomaree Head. 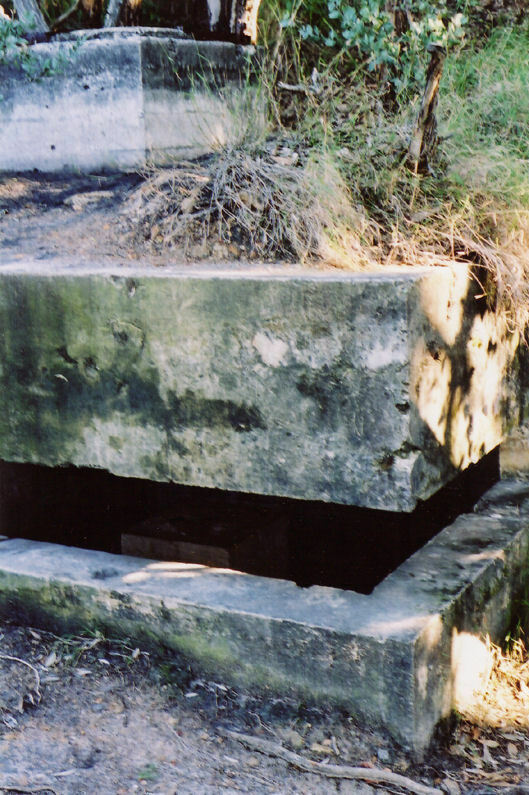 The Department of Army had a Morse channel established between Fort Wallace and Tomaree Battery. The Tomaree Battery War Diary from April 1942 to February 1944 is available in the National Archives Australia. 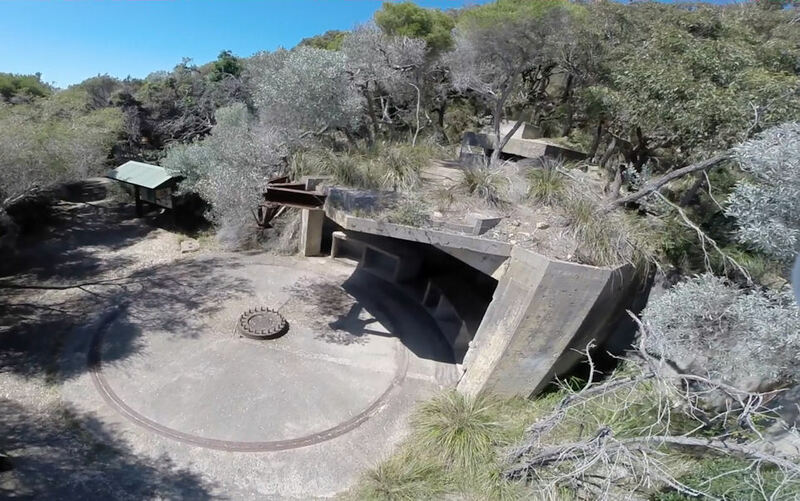 Today, the concrete bunkers of Tomaree Battery can be accessed by a walking track from the car park at nearby Zenith Beach. There was also an Amphibious training facility at Tomaree Head. The Joint Overseas Operating Training School (JOOTS) at Nelson Bay was set up to handle courses for officers and men of the U.S. and Australian Armed Forces using HMAS Assault as its base. Gan Gan Army Camp, 4km from Nelson Bay was a troop staging and training area. The buildings there consisted of kitchens, mess, toilets and ablution blocks. The troops lived in tents. Does anyone know what happened to the guns from Tomaree Battery? I'd like to thank Geoff Russell and Cameron Alexander for their assistance with this web page. by Michael Smith and Graeme Steinbeck.